Significant variances exist in the way that we currently collect nurse practitioner (NP) workforce data. No single comprehensive data source for conducting NP focused research exists. During this CASN webinar, the presenter will discuss current and previous trends in Canadian NP workforce data and discuss a standardized NPWD (Nurse Practitioner Workforce Data) collection tool that can be used to inform NP program curricular improvements to meet the current and future educational needs of our NP graduates. This free, one-hour webinar will be of particular interest to anyone working in the Canadian health care system as well as educators and/or NPs who are interested in learning more about current nurse practitioner (NP) workforce trends and its implications for NP education. Dr. O’Rourke is a recognized leader in the development and implementation of innovative NP-led interprofessional initiatives. She has been a nurse for over 25 years now, the first 10 as a Registered Nurse and the last 17 as a Nurse Practitioner. She is best known for her involvement in the advancement of NP-led clinics in Canada and she was the Chief Nurse Practitioner at an NP-led clinic in Ontario from 2010 to 2014. She has successfully secured over 15 million dollars in funding to support the development, implementation and sustainability of several NP-led initiatives. Her most recent success has been in Edmonton with the opening of Collaborative Community Care: C3 for Seniors, which became a reality on March 1st, 2018. C3 for Seniors is an academic faculty practice clinic. 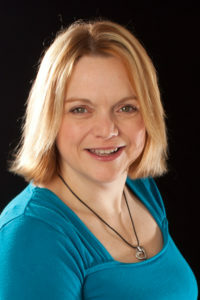 She is an experienced educator, with over 15 years in academics. The focus of her research program is interprofesessional team development in primary care. She is passionate about the optimization of nursing clinical roles and the development of nursing leadership capacity in primary care. She is committed to influencing students, excelling in patient care and making significant community contributions through her work. Dr. Hunter is a Professor with the Faculty of Nursing, University of Alberta with specialization in gerontological and continence nursing, and Coordinator for the Nurse Practitioner program. In addition to teaching and research, she practices as an NP in a continence clinic that provides service to older persons and those living with neurological diseases. Research interests include: 1) lower urinary tract symptoms in older adults and links of these symptoms to falls risk and cognitive impairment; 2) hospital care and transitions for older persons. In 2014, she was the recipient of the Practitioner Researcher Award from the Canadian Association for Nursing Research. She is an active member of the International Continence Society (ICS), and is currently the nurse member of the Scientific Committee. She was one of two ICS nurses invited to China in 2017 and 2018 to speak on evidence based continence nursing. 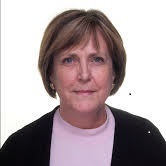 She has served on number of working groups and task forces with the Canadian Association of Schools of Nursing, including the 2017 Task Force on Gerontological Nurse Care that developed competencies for undergraduate nursing students in Canada and is current chair of the NP Education Interest Group. She is Co-Chair for the 2019 Canadian Gerontological Nursing Association Biennial Conference. Registration is free, but space is limited, so please register soon! To register, click here (or go to..) If you have any questions or would like more information about the course, please contact Julia Thomas, Education Policy Coordinator by email jthomas@casn.ca or phone 613-235-3150 ext. 135.